The Language Center is in charge of developing and promoting an environment favorable for learning English. The Language Center’s educational approach is lively, and emphasizes practical and interesting content. English Communication is a required course for all first-year students, who are divided into four streams based on the results of a placement test administered at the beginning of the first semester. A unified listening comprehension test is administered at the end of each semester to gauge the progress of student learning. As a continuation of freshmen English education, the Center offers Intermediate and Advanced courses designed to improve students’ integrated approach to English. Since 2010, the Language Center has been tasked with measuring students’ English proficiency in meeting the university-wide core competency requirements. As an additional service, assistants provide tutorials three times a week for any students who wish to prepare for this proficiency test. To further foster the students’ interest and enthusiasm in English learning, the Language Center sponsors three contests per year. In the fall semester, the speech contest encourages students to focus on oral skills and the spelling bee challenges students to sharpen their English vocabulary. In the spring semester, a skit contest is held to spur students’ creativity in English drama and improvisation. staff, and faculty. The Corner serves as an English learning resource center, complete with a video room, where students can watch English films, and work stations from which students can gain access to the Internet. In addition, there is an area where students can browse English language magazines and newspapers. Since 2003, international students from our sister schools have served as tutors at the Corner, giving Shih Hsin students a chance to exchange views with their foreign peers. As a popular attraction for English enthusiasts, the Corner exudes a cyber cafe atmosphere. To further cultural awareness, a variety of workshops and seasonal events (such as the Christmas and Halloween parties), open to all students, are held here throughout the year. 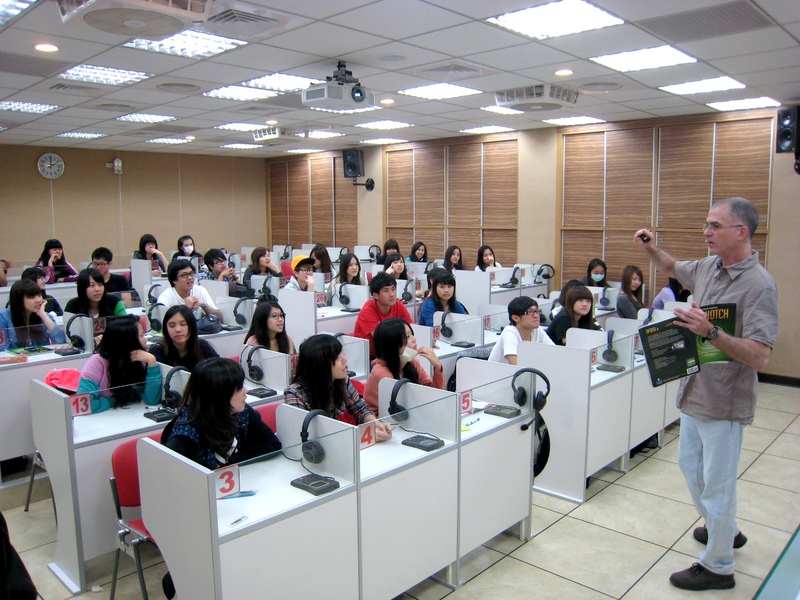 Through all of these efforts, the Language Center is at the forefront of Shih Hsin University’s drive to become an English-friendly campus.